Back On Black are set to reissue "Back With A Vengeance" the classic anthology of cult NWOBHM band Fist. 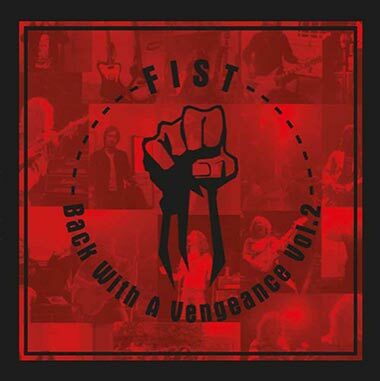 Fist are an English heavy metal band hailing from North East UK. They were one of the original bands that were considered to be part of the new wave of British heavy metal movement in the late 1970s and early 1980. • Back On Black are set to reissue "Back With A Vengeance" the classic anthology of cult NWOBHM band Fist. • Fist are an English heavy metal band hailing from North East UK. • They were one of the original bands that were considered to be part of the new wave of British heavy metal movement in the late 1970s and early 1980. • For fans of Tygers Of Pan Tang and Vardis.